On this holy Hindu festival of Mahashivratri day, I would like to share this article of describing the holiness of Lord Shiva. In Hindu mythology, we believe there are 36 crore Gods and Goddesses! Out of them, Lord Shiv, along with Prajapati Brahma and Shri Hari Vishnu, forms a part of the highest echelons of the hierarchy amongst all the Gods, known as the Trimurti or the divine Trinity. All three fit into the scheme of things perfectly with their respective roles being complimentary to each other. • Brahma, the first in the Trinity, is the Creator and Master of all divine ceremonies. • Vishnu, the Preserver God who incarnates to help mankind, face the challenges whenever evil forces become too dominant in the Universe. • Shiva, Destroys at the end of time and thus, sustains the endless rhythm of the Universe ensuring a continuous cycle of renewal and growth. As per Shiv puran, Shiva is the Lord who was believed as born by himself in the form of Lingam and was never born in any womb! He never took any Avatar as Vishnu takes to preserve the world. The 11 Rudras were born only out of his energy. This theory make us think that he is the most powerful Lord in Hindu mythology. Conversely, there are debates from millions of years on comparisons of Shiva with Adishakti and Vishnu. It will be an endless topic if we discuss on the power of Shiva, so in this post we will try to enlighten ourselves about Mahashivratri. 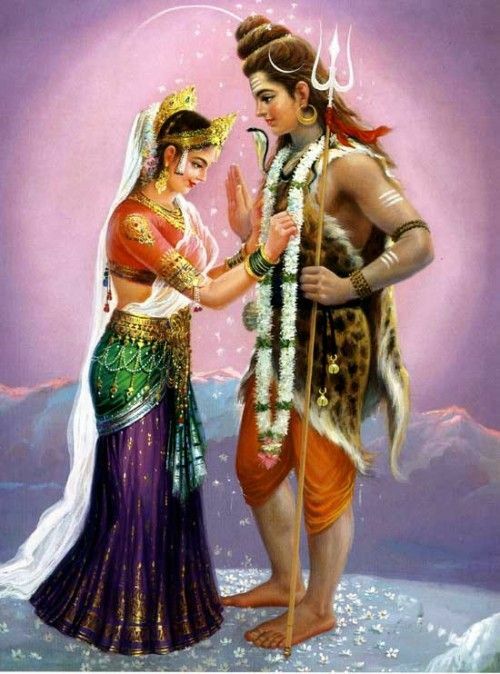 The worship of Shiva and Shakti represents an ancient rite of recognizing the Universe as a balance of the Male and the Female, the achiever and the energy, we find several origins of worshiping this mighty God directly or indirectly, with various names not only in India but also outside India, till Europe in west and many eastern countries of Asia. The Somnath temple in Gujarat commemorates this very occasion. Somnath is also the place, where Chandra (Moon) got his life back. Chandra loved his wife Rohini more than his other wives, all his wives were daughters of Dakhsha Prajapati, and angry Prajapati cursed Chandra to be died soon, as he didn’t provide equal love to his other daughters whom he married with the same oath. All the Deva’s chanted Mahamrutyunjay Mantra to save Chandra’s life and with the blessings of Shiva, Chandra got his life back with a promise to provide equal love to all his wives and he happily resided on the forehead of Shiva to gain the energy, which was lost after the curse, hence the Lingam in place is known as Somnath (Som-Moon). With the above incident of Shiva cursing Brahma, we see a reason why Shiva would have invoked violence in Daksha Prajapati. After all, Daksha was the eldest Manas-putra of Brahma and could not have taken kindly to this unfair criticism of his father's position from the Head of the Trinity to its bottom! Perhaps, that was also the reason that he hated the idea of his most favoured daughter Sati, falling in love with the man he so heartily despised!! Although, the story shows a completely new side of Shiva where the supreme Master of senses loses control and decides to take revenge by beheading Daksha! This is what makes Shiva more relatable to humans. It shows that even at the highest level of spirituality, the bonds of affection may cause a person to slip and plunge into gloom or anger. However, Shakti was again reborn as Parvati. 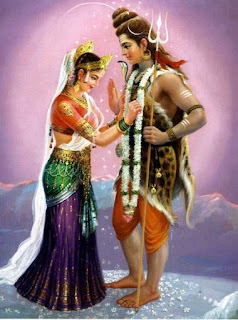 Shiva and Shakti married later again on the same day of Mahashivratri at Kailash, the abode of Shiva. Celebrating Mahashivratri is also believed to be the night when Shiva appeared in the form of a Lingam of fire and challenged the Gods Brahma and Vishnu's contest for supremacy. That was the night; Lord Vishnu's magnanimity came to front while Brahma's cheating led to Shiva putting the curse that he would never be worshiped! 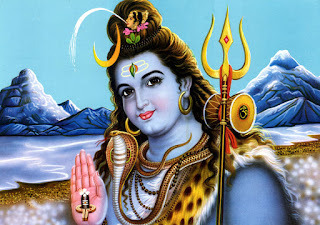 Shivratri festival falls on the 14th day of the dark fortnight in the month of Phalgun, it pleases Lord Shiva the most as it is believed that worship of Shiva with devotion and sincerity on this day pardon a devotee from past sins. The devotee reaches the abode of Lord Shiva and lives there happily. He is also liberated from the cycle of birth and death and attains moksha or salvation. It is also considered to be an extremely significant festival for women. Married and unmarried women observe fast and perform Shiva Puja with sincerity to appease Goddess Parvati, one who bestows marital bliss and long and prosperous married life. Unmarried women also pray for a husband like Lord Shiva who is regarded as an ideal husband. According to Hindu mythology, Shivratri fast is extremely auspicious and it’s rated as equal as or more than performing an Ashwamedha Yagna. The day is noticed as Shiva’s personal day in which, Shiva is in Samadhi and all Shivatatva’s in the universe are more compared to the other days. Thus, fasting, vigil throughout the night (jaagran), discipline and chanting ‘Om Namah Shivaay’ on this occasion helps a devotee to control the two great natural forces that trouble humans, Rajas guna (passionate activity) and Tamas guna (inactivity), hence evils like lust, anger and jealousy, born of Rajas and Tamas are ignored. Devotees offer water, milk, dhatura, bhaang, bel patri, akwan flowers to Shiva. So, let us conclude this post by chanting ‘Om Namah Shivaay’. I do not share the same belief as you do so can not really comprehend the article that well. I think religion is a very personal interest. Thanks for sharing this beautiful history and story about Mahashivratri.